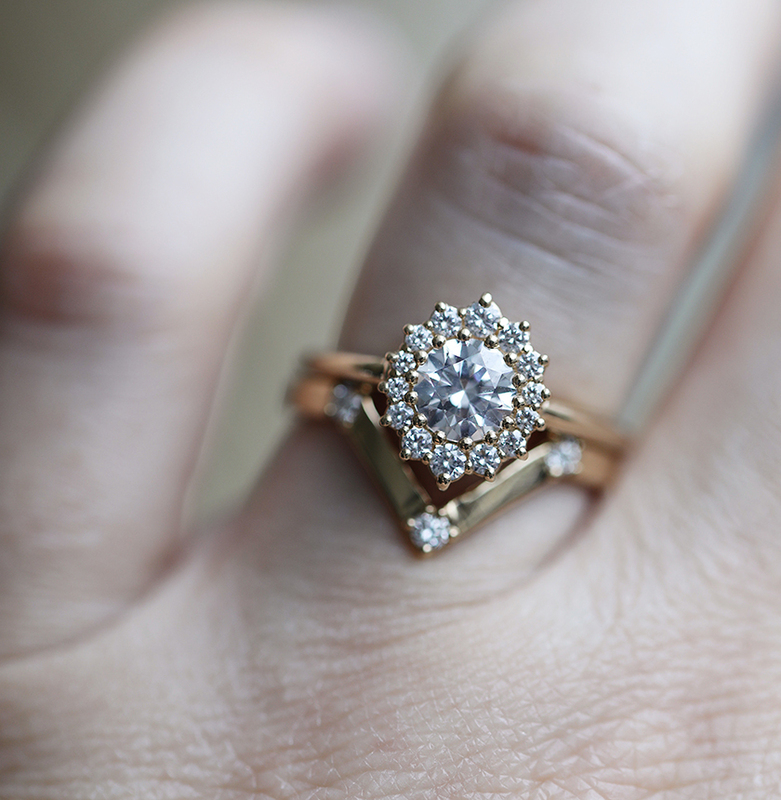 This image features a 0.75 carat round brilliant cut center stone set in 14k rose gold. Available in yellow gold, rose gold, white gold and platinum. 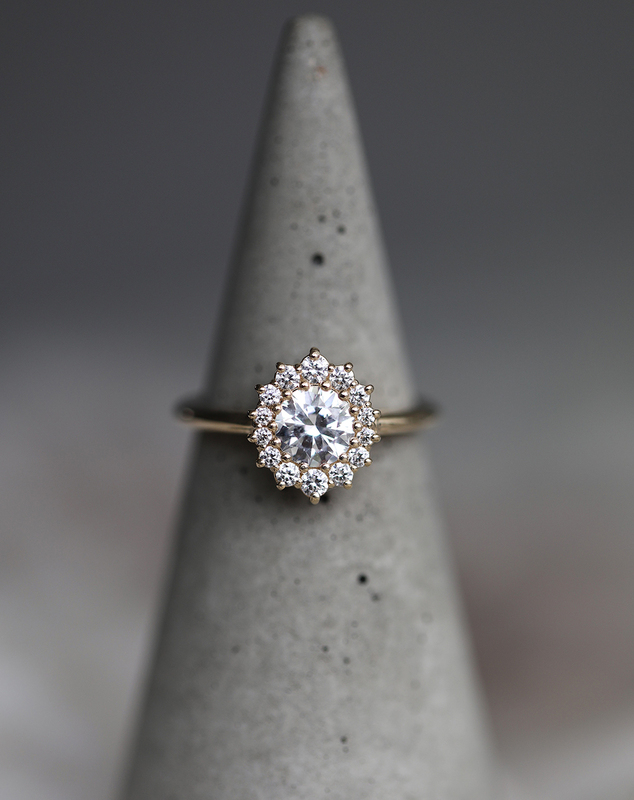 This ring starts at $4,471 for approximately a 0.50ct round brilliant cut center stone with I color, SI clarity and excellent to very good cut grade based on the GIA grading scale.